Welcome! I'm so glad you found your way here! Life isn't always a stroll through the garden, but even when I come across rocks and rubble on the road, God always gives me a song for my journey. From my experiences in day to day life, to the insights I glean from the word of God, it all comes out in my writing.....whether in the form of a devotional, a poem, a little story, or a song....you'll find much of it here. 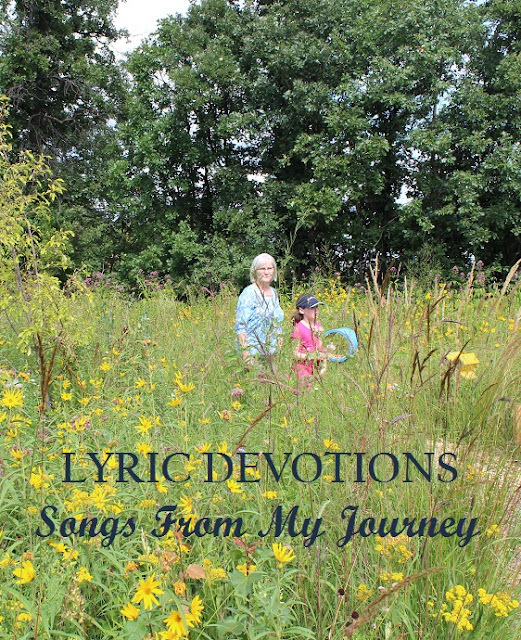 I started Lyric Devotions back in the spring of 2008, and since that time, it's gone through many transformations. For the past few years it has been strictly a place to post my songs, with my other posts on a separate blog. My hope, over the coming weeks and months, is to get this blog back to it's roots, and get myself back to posting here. As you join me now, I hope that you will find some words of encouragement that will help you turn the stumbling blocks of life into stepping stones to higher ground. It is my prayer that my writings bring glory to my Lord and Saviour, Jesus Christ, and that they might be used to draw others to the Lord. Read The Story Behind the Songs. Could you please send us the sheet music for the song God's Hand. Please e-mail to kmohamed289@gmail.com.